Printed Circuit Board are essential part of a electronic connections to generate a mechanical support as well. Conductive tracks, pads and other features etched from copper sheets laminated onto a non-conductive substrate to connect capacitors, resistors or active devices which are generally soldered on the Printed Circuit Board. 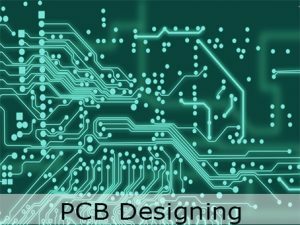 We can’t rely upon bread board for substantially increased number of components and for smaller packaging sizes of Integrated circuits that’s makes PCB more essential. It is more of an art then just science with lots of scope for designer. Prior programming experience is not required and basics of electrical engineering would be appreciated. Circuit Designing, Simulation, PCB Design Structure, Component Placement and Design, Testing, Board Analysis, Fabrication output generation. Creation of symbolic representation of circuits (schematic diagram). Searching, loading and placing of components. Updating component information in PCB layout (Auto packaging). Introduction to all types of electronics components and testing/measuring instruments. Practical verification of electronic components with Multimeter. Design of PCB layout of a circuit. Detection and repair of Design rules violation, clearance errors and missing or incomplete connections. 3D View of the designed board. Thermal Analysis and Electromagnetic Analysis. Testing and troubleshooting once your PCB is ready.